Dongle: SDR USB Dongle (Realtek RTL2832U R820T chipset, other SDR dongles may also work). Search Ebay for RTL2832U dongles. They should all work. Note: Don’t install any software drivers that came with the SDR Dongle. Uninstall the drivers, if you already installed them. Stereo mix is used to forward output sound to the microphone input. We need this, because AFSK1200 decoder will be listening to the microphone input. Open sound options in control panel or just go to start and enter mmsys.cpl. Using USB headset will not work, you need analog speakers. There are some workarounds to use USB headsets but I haven’t tried them yet. 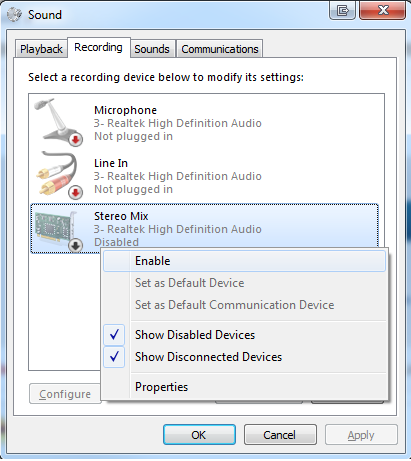 Playback tab: set speakers to the default device. Recording tab: if you don’t see the “Stereo mix device”, it’s probably hidden. Right click anywhere in the field where devices are listed and tick “Show disabled devices“, “Show disconnected devices. Stereo mix shold be available now. Right click on it and select “Enable“. Plug in your SDR dongle, go to sdrsharp folder and run zadig.exe. Go to Options and tick “List all devices“. Select “Bulk-In, Interface (Interface 0)” and click “Install Driver”. (On my screenshot, you can see “Reinstall Driver, because I already installed it). Note: You will need to install driver again if you replug the dongle in another USB port. 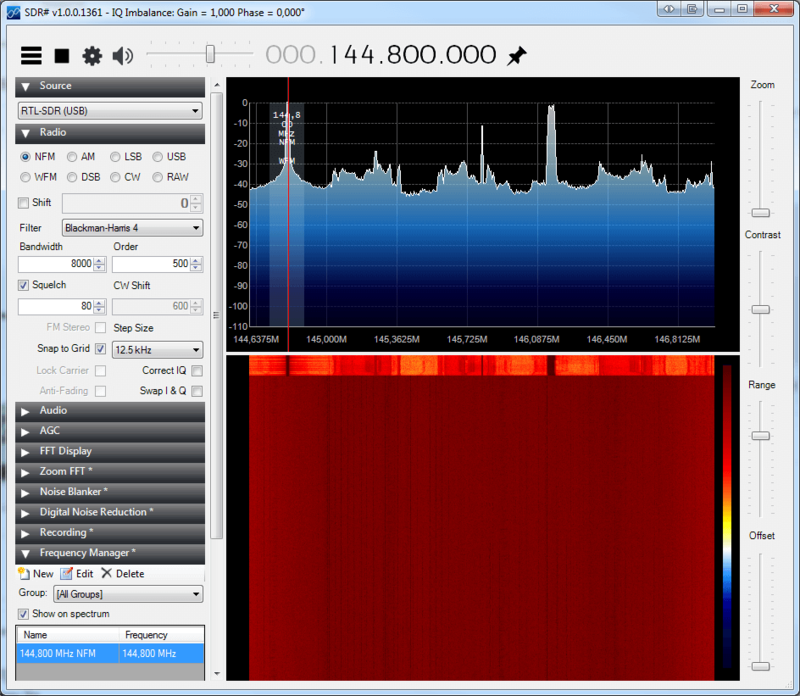 Frequency Manager -> New -> add the frequency you want to monitor, in my case it’s 144.800 Mhz. 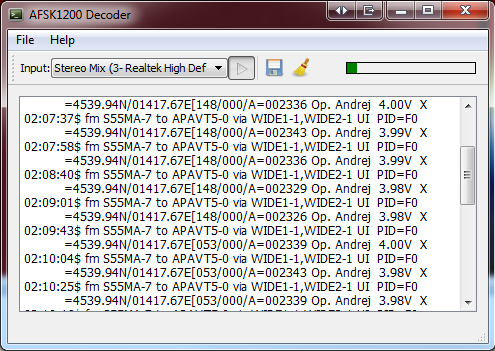 Don’t forget to disable stereo mix and set the default playback device as you had before when you finish decoding. Using Funcube Pro+ with SDR# but cannot get decode after following these directions. Any help? Where do you get stuck? At what step? I followed the directions but there is no decode. I hear the packets but no decode. Well, that probably means, that your output is not forwaring sound to microphone input. You probably have different sound options than me. Play around a little with different sound options. You’re only one small step away. Well, there are just a few Windows Sound settings under either Playback or Recording. 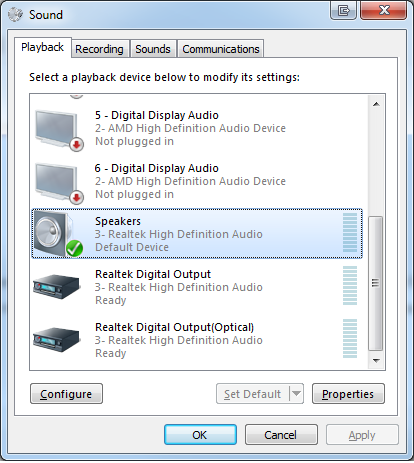 Per your directions on your site I have chosen Playback – Speakers Realtek HD Audio. It is the only choice on my system. or the Microphome – Realtek HD Audio. By doing so they do get activated meaning they are choices that I can select. So far nothing has worked. Can you make a suggestion to me? There is one additional choice in Recording I need to add.